To select the sort type, tap the Sort button at the bottom of the screen. The Last Name sort will arrange the names alphabetically based on the last name. 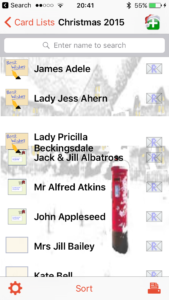 The First Name sort will similarly arrange the names alphabetically based on first name. MANUAL sort will allow you to arrange the names in whatever order you would like. Once in this mode, arrange the names as you want by placing your finger on a name, and sliding the name up or down as desired. 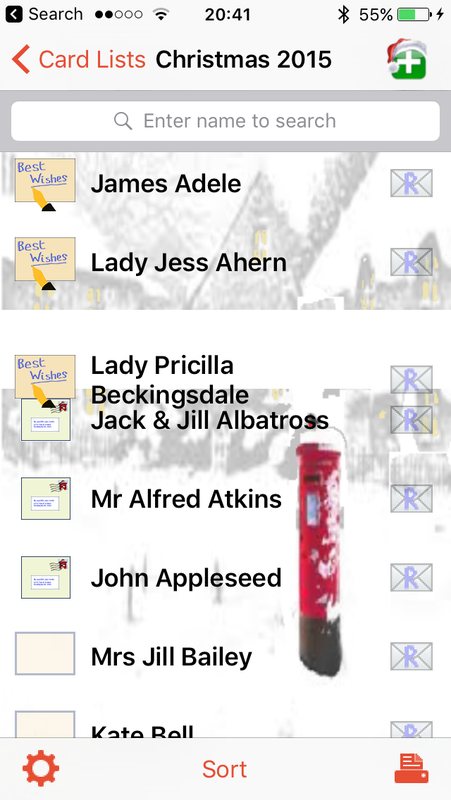 In the example above, Lady Pricilla Beckingsdale is being moved up the list. NOTE: The type of Sort selected is applied that that list – NOT all lists. 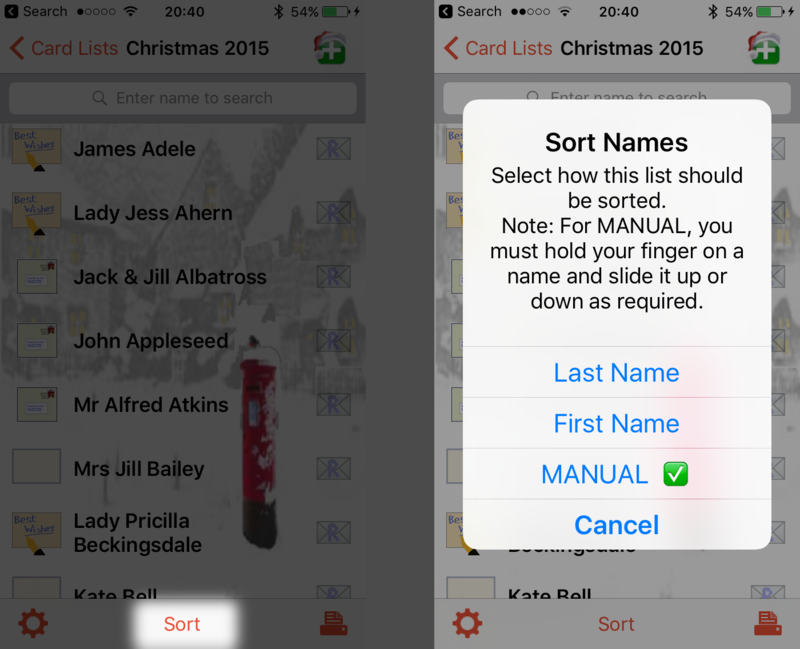 Therefore it is possible to use different sort type on different lists. You might sort on Last name for a long list, and Manual sort on a short list.